Israel Adesanya responds to Kelvin Gastelum’s criticism that he hasn’t fought top contenders. 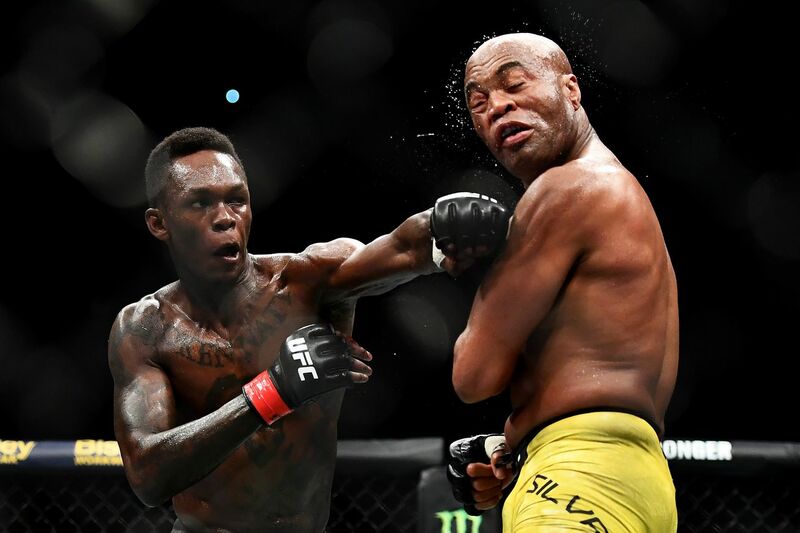 It took surging middleweight contender Israel Adesanya just one year to rocket up the UFC rankings and get himself a title shot. Adesanya will face Kelvin Gastelum for the interim middleweight strap this weekend at UFC 236, but Gastelum questions whether ‘The Last Stylebender’ has truly been through the fire and fought the level of competition needed to prepare himself for a fight of this magnitude. Speaking to MMA Fighting in a recent interview, Nigerian-born Adesanya responded by highlighting that Gastelum’s own fight record is littered with wins over older fighters such as Michael Bisping and Vitor Belfort. Despite the criticism, Adesanya has a tremendous amount of respect for Gastelum and looks forward to a scrappy fight with The Ultimate Fighter 17 winner at UFC 236. UFC 236, which features a headlining interim lightweight tilt between Dustin Poirier and Max Holloway, takes place this Saturday, April 13 at the State Farm Arena in Atlanta, Georgia.